Greg is back after many weeks of super busy scheduling. He added 2 4TB drives for local backups and created a new RAID5 drive for fast access to the original files. Greg also had some suggestions for easy backups with iCloud on Mac and Windows. The next segment was about event photography and making sure you have everything prepared beforehand. 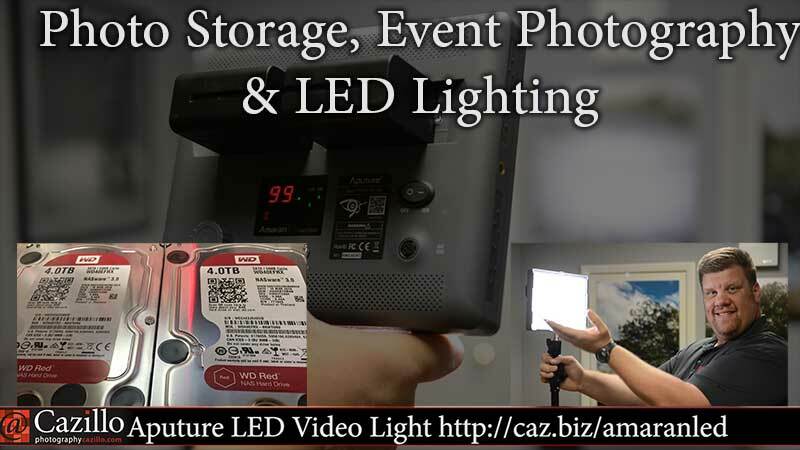 Finally Greg reviewed the Aputure Amaran LED Video Light. Keep shooting!